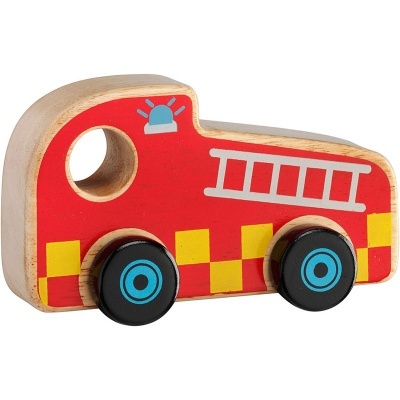 A fair trade traditional wooden toy fire engine. Beautifully handcrafted from chunky sustainable natural rubber wood. A traditional wooden toy fire engine handcrafted from chunky natural rubber wood. Children will love this fair trade fire engine which is part of an emergency services range which includes a police car and ambulance. Enough for any child to build their dream fleet!